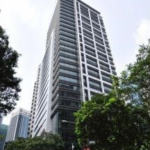 (SINGAPORE) The buzz in the office investment sales market continues, with two freehold office blocks, 112 Robinson Road and the nearby The Corporate Building, being transacted at $168 million and $57 million respectively. A Credit Suisse managed fund’s sale price for 112 Robinson Road (formerly known as HB Robinson) works out to $1,822 per square foot based on its net lettable area (NLA) of 92,205 sq ft.  The sale and purchase agreement was signed last month. The 14-storey freehold office block with three ground floor shop units underwent a major refurbishment in 2003. CB Richard Ellis brokered 112 Robinson Road’s sale following an expression of interest (EOI) exercise which closed in mid-December. Grace Global, the Singapore outfit of a low-key Indonesian family, is buying the property for long term investment. The building’s existing gross floor area of about 115,000 sq ft reflects a plot ratio (ratio of maximum gross floor area to land area) of nearly 11.8, which exceeds the 11.2 assigned for the 9,780 sq ft site under Master Plan 2008. 112 Robinson Road is said to be about 90 per cent let. 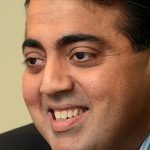 Tenants include Saxon Financials and India’s Jet Airways. The net yield on Grace Global’s purchase price is said to be just over 3 per cent. The EOI for the office block, which has only five car park lots, is said to have been hotly contested. ‘The office market is enjoying a powerful recovery with rents and prices rebounding from their low points in 2010 and investors are actively looking for office investment deals,’ according to CBRE’s executive director (investment properties) Jeremy Lake. 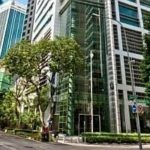 Grace Global is familiar with Singapore’s CBD office market, being the owner of 137 Market Street which it bought a few years ago. That building is being refur`bished and upon completion around the middle of this year will have total NLA of about 43,000 sq ft.
As for 112 Robinson Road, the Credit Suisse fund that is selling the office tower picked it up for $119 million or about $1,290 psf in 2007 from a CLSA fund, which had acquired it in 2006 for $80 million or $869 psf from Ho Bee. Market watchers described 112 Robinson’s latest price of $1,822 psf as in sync with values in the area. In October last year, Oxley Holdings paid $1,956 psf on existing NLA for The Corporate Office nearby but analysts say that deal should be viewed in terms of unit land price as Oxley is said to be eyeing redeveloping the freehold property to a strata office project for sale. 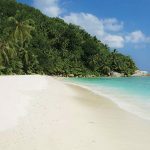 On this basis, that transaction reflected a unit land price of about $1,260-1,270 psf per plot ratio (psf ppr) inclusive of development charges. Similarly, Oxley’s latest acquisition, The Corporate Building, works out to $2,789 psf on existing NLA but a more palatable $1,280 psf ppr assuming Oxley redevelops the plot to strata offices. DTZ is believed to be brokering the sale of The Corporate Building, which is being divested by City Developments. 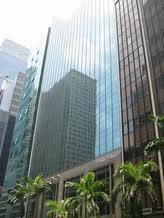 The listed property giant last year also sold The Corporate Office to Oxley. The two buildings are separated by Chow House, which was picked up last year by an entity linked to WyWy Group founder Y Y Wong. Meanwhile, an expression of interest for Finexis Building at 108 Robinson Road (formerly known as GMG Building) closed on Dec 16 attracting a handful of offers. 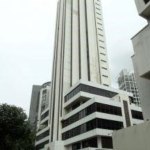 Owner Robinson Land’s asking price is said to be about $110 million or about $2,042 psf on its strata area of 53,873 sq ft.
Robinson Land – whose shareholders include the Buxani Group of Singapore – clinched the 12-storey freehold office block in 2006 for $48 million and is said to have refurbished it for about $10 million. 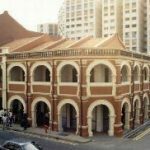 Due diligence is said to be in progress for the Singapore Technologies Building in the Tanjong Pagar area. The pricing is said to be close to the seller’s asking price of about $1,500 psf or about $148 million. CBRE figures show that nearly $9 billion of office investment sales were done last year. 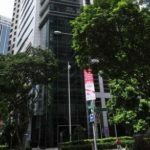 BT Weekend reported that NTUC Income is nearing a deal to buy a 49 per cent stake in 16 Collyer Quay in a deal that values the office tower at about $2,365 psf on NLA or $661 million. 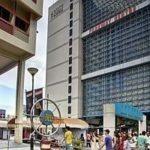 Capital Square, a Grade A office development at Church Street, is expected to be put up for sale soon. The vendor, German insurer Ergo, is said to be eyeing $2,700-2,800 psf on NLA, or crossing the $1 billion mark.